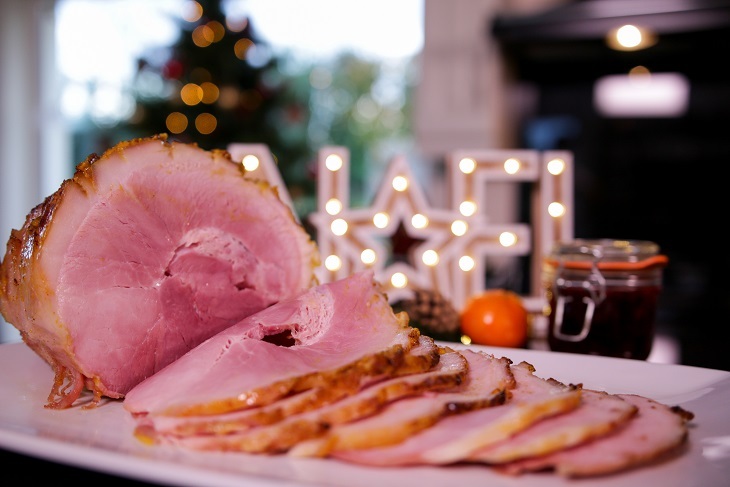 Northern Ireland is renowned for producing top quality ham... just ask your SuperValu butcher and they’ll help you pick the perfect one! Place the ham in water, with the veg and bay leaf, bring to the boil and simmer until cooked. Cook with the fat on (remove once cooked). For best results, once cooked, remove the skin of the ham with a sharp knife and gently score the fat into diamonds. Mix 1 tablespoon of English mustard with 1 tablespoon of brown sugar and spread over the fat (for a honey glaze, add 3 tablespoons of clear honey and the grated rind).